John Sittard, a native of Massachusetts, received the Bachelor of Music degree in Organ Performance, as well as the prestigious Performer's Certificate from the Eastman School of Music in Rochester, New York. Mr. Sittard continued his studies at the Indiana University Jacobs School of Music at Bloomington, earning the Master of Music degree in Organ in 1993 and continuing post-graduate studies in organ and choral conducting until 1995. In July of that year, John was appointed Assistant Organist at the Basilica of the National Shrine of the Immaculate Conception in Washington, DC, where he played for internationally televised liturgies and assisted Dr. Leo Nestor in conducting the Choir of the Basilica, as well as day to day operations of a large and active music program of national stature. From 1997-2000, he served as Director of Music of the Cathedral of St. Paul in Worcester, Massachusetts, conducting the semi-professional Cathedral Festival Singers, overseeing the renovation and expansion of the cathedral's two pipe organs, and serving as Co-Program Chair and as an artist for the 1999 Region I Convention of the American Guild of Organists. He also coordinated and directed the music for a nationally televised memorial service at which President Clinton, Vice-President Gore, and the Massachusetts Congressional delegation were in attendance. From 2000-2007, he lived in Columbus Indiana, and served as Director of Music of North Christian Church and as Director of the University Choir at Indiana University Purdue University Indianapolis. John comes to St. Hugo's from Greensburg, Pennsylvania, where he was Director of Music at Blessed Sacrament Cathedral and directed several choirs, administered the Cathedral Music Series, and was diocesan musical consultant. Mr. Sittard has been heard in concert and liturgy throughout the United States, Great Britain, and Scotland. An active composer, he has published liturgical and choral music for CanticaNova Publications (www.canticanova.com.) He has recorded a CD featuring the organs of the Cathedral of St. Paul (Worcester, MA), and appears on the Great Organs of Worcester CD, produced by the Worcester Chapter of the American Guild of Organists. Both are available through the Organ Historical Society at www.ohscatalog.org. He is married to Siegrid Marks Sittard, who is a professional soprano and voice teacher at the Cranbrook School. They have a son, Luke, who is an aspiring jazz guitarist. Nicholas Mitchell Garcia is a native of Covington, Virginia. A recent graduate of the University of Notre Dame du Lac in South Bend, IN, Garcia earned a Master of Sacred Music degree with a concentration in pipe organ performance with Dr. Craig Cramer. Garcia also holds a Bachelor of Music degree in Organ Performance from Westminster Choir College in 2012 where he studied with Alan Morrison. During his time at Westminster, he was awarded an annual scholarship in Organ Performance Excellence. Over the course of his training, Garcia has had the privilege of studying with many leaders in the field of music and liturgics including: Dr. James Jordan, Dr. Stefan Young, a student of the celebrated pedagogue Nadia Boulanger, Dr. Peter Jeffery, Dr. Margot Fassler, Dr. Carmen Helena Téllez, and Dr. Maxwell Johnson. As a member of the famed Westminster Symphonic Choir, Garcia performed Johannes Brahms’ Ein Deutsches Requiem at Verizon Hall in Philadelphia, under the direction of Yannick Nézet-Séguin with the Philadelphia Orchestra. With the Westminster Symphonic Choir, he also had the honor of performing Gustav Mahler’s Symphony No. 2 in Carnegie Hall with the Berlin Philharmonic under the direction of Sir Simon Rattle. While at Notre Dame, Garcia was a member of the Basilica Schola Cantorum, and the Basilica Liturgical Choir. During his time with the Liturgical Choir, he worked as a Graduate Assistant, serving as an accompanist and conductor, as well as one of the organists for the Basilica of the Sacred Heart at the University of Notre Dame. He helped to develop and was the initial instructor of the Notre Dame Children’s Choir Organ Training Program. Garcia was instrumental in the installation of the new Paul Fritts organ at Moreau Seminary where he served as Organist. An active recitalist, Garcia has performed in churches around the country including Gloria Dei Lutheran in South Bend, Indiana, St. Mark’s Episcopal Church in Seattle, Washington, Kirk in the Hills Presbyterian Church in Bloomfield Hills, Michigan, Greene Memorial United Methodist Church in Roanoke, Virginia, Moreau Seminary Fritts Dedication Recital in Notre Dame, Indiana, and Verizon Hall’s Organ Day at the Kimmel Center in Philadelphia, Pennsylvania. Garcia’s performances have been heard on the nationally-Syndicated program “Pipedreams” (American Public Radio). Upcoming recitals include Germany, Virginia, Kentucky, Washington, and Michigan. David Enos, a native of the Syracuse, New York area, is Carillonneur at St. Hugo of the Hills, where he plays the parish’s 48-bell Dutch carillon. 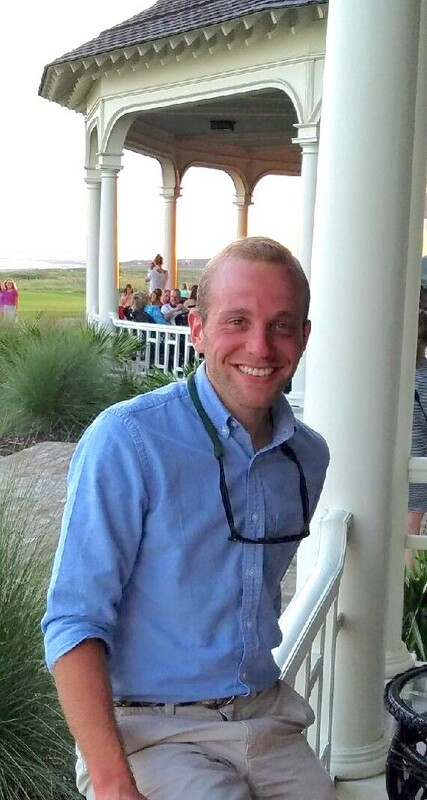 From 1999-2017, David also served as Music Associate at St. Hugo's, playing for liturgies, directing the parish handbell choir, and accompanying the parish vocal choirs. He holds a Bachelor of Music degree from Westminster Choir College and a Master of Music degree from the Eastman School of Music. Organ studies have been with George Decker, Donald McDonald, Joan Lippincott, and David Craighead. 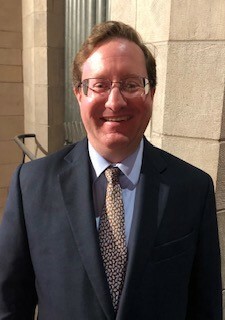 He has been heard as an organ recitalist at St. Patrick’s Cathedral (New York City), at conventions of the American Guild of Organists, the National Association of Pastoral Musicians, and many other venues. As a carillonneur, he has performed in the USA, France, and Belgium. Before coming to St. Hugo’s, David was Director of Music at St. James Church, Syracuse, New York, where he oversaw the acquisition and renovation of an historic pipe organ. He also was active in the redesign of both of the organs at St. Hugo’s, and in the planning of the parish’s carillon. He has been active as a member and officer in the Syracuse and Detroit chapters of the American Guild of Organists, having been involved in the planning of regional conventions of that organization. He was also a member of the planning committee of the 2011 Congress of the World Carillon Federation/Guild of Carillonneurs in North America, held in Bloomfield Hills. He has recorded for the nationally broadcast radio program, “Pipedreams,” in a program featuring notable pipe organs of the Syracuse area. David is greatly interested in organ and carillon history, and has participated in European study tours in both areas. He is also an incurable opera fan, dog lover, audiophile, and collector of recordings.